One of the best kept secrets of lighting in the Green Bay area. We are located in the historic downtown area of De Pere and have been in the business for over 30 years. We have knowledgeable sales staff that will be able to assist you in all your lighting and home décor needs. Green Bay Lighting has been lighting the Green Bay area since 1972. Green Bay Lighting first opened its doors in 1972 with Jim and Chris LeFevre. Dennis and Nancy Siewert purchased Green Bay Lighting from the LeFevres in January of 1982. In 1999 the business climate demanded that we re-evaluate our facilities, services, and product lines. We were rapidly outgrowing our establishment and decided on a complete remodeling and expansion of our store. This was accomplished by updating the entire building with a new and improved showroom, updated communications, increased warehouse space, and additional parking. The project was completed within a two year time frame, finishing in November 2001. Our new showroom helps to support our focus on deliverying the highest quality products and outstanding customer service that Green Bay Lighting is known for. In January of 2004 Barry Siewert, after 20 years in the family business, purchased Green Bay Lighting and is continuing on with the commitment to excellence that has been a Green Bay tradition for over 30 years. 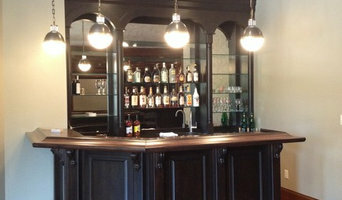 Valley Lighting and Design is a locally owned and operated lighting and design showroom, established in November 2003. We are dedicated to customer service, enhancement and quality of the lighting in your home environment or commercial application. We strive to partner with our customers, designers, homebuilders and building professionals to create the desired effects and styles and offer complete satisfaction to the end user. Whether your preference is contemporary, traditional, transitional or old world designs, we offer quality products to meet your specifications and more importantly the style and elegance you expect. One fixture or a whole house layout and design, visit our showroom or call one of our lighting professionals. We would be proud to assist you in design, selection, budgeting and on time delivery. We offer lighting fixtures, controls, lamps, landscape lighting, ceiling fans, bath ventilation products, framed art, mirrors, decorator products and other home products to complete your home. 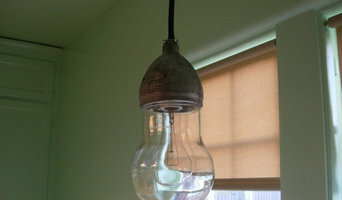 Visit our showroom gallery and see what is new in lighting today. 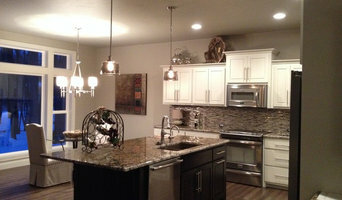 Let Valley Lighting and Design cast your home in a new light! Creating decorative metal products to enhance your surroundings is our passion. We draw from every experience and never forget that you, the customer, are the most important teammate in designing our custom metal products. Over the years we continue to have fun doing what we’ve realized we do best. Life is gooooood and yours may be a little brighter with an ornamental metal piece to complete your peace. Think about how you plan to use each area of your Wrightstown, WI home. It's important to communicate to your Wisconsin lighting designer which space will be used as an office and which will be a media room, for example, as these will require very different lighting methods. In addition, consider how you'd prefer to control the lights. Lighting technology today includes dimmers, sensors, photocells (that let lights react to the amount of daylight in a space), programmable scene controls (that let you program different settings for varied lighting) and whole-house lighting controls (that let you control all or a portion of your home's lights from one source), allowing you to tailor your lighting controls however you wish. 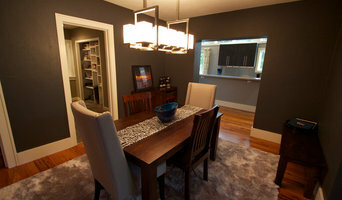 Find a lighting designer on Houzz. Narrow your search in the Professionals section of the website to Wrightstown, WI lighting designer. You can also look through Wrightstown, WI photos by style to find a lighting design you like, then contact the designer.